The song of life is the song of movement. Where there is life there is a flow of vitality. Nothing is stationary in this universe. Everything moves and this movement represents the emanative flows in this universe. We appear to come from a land of invisibility and at some stage; we disappear into the void of invisibility. Our existence is an eternal mystery waiting to be unravelled. Only a small portion of our individual and collective existence comes within the scope of our understanding. Some of it is captured by the lens of our direct and indirect perceptions, some by varying degrees of mental conceptions and the rest by either intuitive flashes or revelations from omniscient grace. Our evolutionary journey is an unending endeavour to continuously expand the domain of our experience and comprehension and attain the stance from where there is no more desire to return. That coveted state has been described by sages as a state of dynamic equilibrium and unfathomable composure and is also popularly known as Nirva’na or Sama’dhi or A’nanda. True education therefore is a process to hasten the attainment of such a state of being. All other goals are subservient to this ultimate desideratum. That is why we say, “Knowing oneself is the real knowledge”.In this worldly sea of vibrations, there are innumerable rhythms, each having its own structural peculiarity and functional uniqueness. These waves or vibrations can be described as “Emanative Flows”. In Yoga, these emanative flows are also considered part and parcel of Ota and Prota Yoga. These emanative flows are of many types viz., physical, physico-psychic, psychic, psycho-spiritual and spiritual. Some emanations are subtle while others crude. Some stem from the spiritual domain while others belong to the mundane plane. They influence one another in varying degrees and determine the status of an entity. Our collective existence is a collection of all emanative flows. Physical EmanationsEach object or entity has its own vibration (emanative flow) and unique properties. That is known as its dharma or special nature. Material objects like chemicals and compounds have their special characteristics and those characteristics are known as Vastu Dharma. It is the task of material science to unravel the secrets of matter and explore the progressive ways of their utilizations for the benefit of humankind and all the beings of this universe. It is a huge task in itself and requires collective endeavor. More importantly, it requires a dual perspective viz., first, to avoid the wastage or misuse of resources of the world and second, to ensure that the benefit of this knowledge goes not only to a few people or species but to all beings. Progressive Education, therefore, is about values of life as much as about increasing the knowledge of facts or mere flow of information. The incorporation of Progressive Utilization Theory in our educational system is an important element. Its objective is to goad the physical emanations of this world towards benevolence and greater welfare in all the strata of life. One important area of study is improving our understanding of the secrets of human body including its physiological, psychological and spiritual aspects. Our educational system puts this area of selfcontrol of all glands, sub-glands, systems of hormone secretion and control of sympathetic and parasympathetic nervous systems at the core of its curriculum. With a greater understanding of systems of emanative flows of human beings, there will emerge a new science of spiritual bio-psychology. Its theory and application will enhance the benefits to the human beings of all ages. For example, with the greater understanding of dynamics of area of habenula nuclei that lies just beneath the pineal in the brain, we may be able to improve the utilization of psycho-spiritual exercises. The superior and inferior colliculus are visual and auditory pathways in the brain and their proper control can assist us in improving our learning and experiences. There is a still a lot to discover in the area of controlling systems involved in firing of neural networks. The influence of electrical and magnetic impulses on our neurological system and consciousness is another area that concerns interdependence of emanative flows. The quest for a healthy body in a healthy mind opens a vista of opportunity to educational objectives of the future. The emanative flows of all material objects are also likely to be better understood with a fuller appreciation of the role of microvita in this creation. An important goal of moral science (yama-niyama) is to direct the potentiality of human mind towards elimination or minimization of disparities that encourage the clash among emanative flows of created beings. In a nutshell, the physical emanations pose a challenge as well as provide an opportunity to create a world of sentient peace, beauty and harmony. Psychic extravaganza – engagement of mind in thoughts which do not lead to the welfare of either individual or society but do not necessarily bring its downfall. Psychic-Exploitation – utilization of psychic potentiality in a way that leads to the downfall of masses (others) at the cost of benefit to oneself or to a mere few individuals. The role of progressive education is to discover and utilize ways by which both psychic-extravaganza and psychic exploitation can be stopped and constructive channels are created for expressing the potentiality of psychic emanations. The inclusion of neohumanist philosophy as an integral part of our educational curricula is an antidote for counteracting the pseudo-culture and exploitative mentality created by the distorted psychic emanations. Neohumanist attainment is the result of arduous discipline in constructive and benevolent thinking. It is indeed a penance (tapasya) and requires training under competent and accomplished teachers. 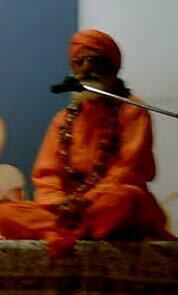 Rationality (Viveka) alone is the guide in this work. It requires patience, ingenuity and long-term commitment. This task is no doubt difficult but not impossible. Each creature has their jiiva-dharma. That dictates the nature of their psychic emanations. The objective of our educational program is to bring about psychic transmutation and physical metamorphosis through a well regulated code of conduct, sense withdrawal and spiritually directed thinking. Spirituality nurtures universal love within a disciplined and responsible environment. It leads to expansion of mind, enhanced awareness and blissful expressions. This training can benefit other creatures too. The greatest danger in human progress is the ‘ego’. A great many so-called elevated persons have fallen from the divine path due to ignorance, carelessness, or flagrant violation of codes of discipline prescribed for the spiritual aspirants by the Sadguru. We easily notice the faults of others but rarely introspect and reflect on our own faults. Those who reflect and always remember the Supreme Being are insulated from the danger of being detracted by their ego. When we realize that the summum bonum of all our endeavours is to please the Divine Master, there is little scope to deviate from the spiritual path. In that situation, the supreme grandeur of spiritual emanative flow becomes our boat in the ocean of life. It helps us cross the ideational gap (bhava-sa’gar) that separates microcosm from macrocosm. The power of spiritual emanation is considered as a million times stronger than the physical or psychic-emanations. The objective of today’s renaissance is to make each person realize the hidden significance of spiritual emanative flow (devotion). The time has come to tap its unutilized potential in order to solve all problems of our individual and collective life and unite us all with the purest bonds of love, compassion and cordiality. Spiritual education of children (of all ages) is the beginning of this task.